I blame NetGalley.com for my fall from grace. I was introduced to this little demon as part of a Librarything Early Reviewers win, and it's hooked me quicker than black tar heroin. 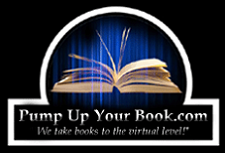 The basic idea is that the website matches up reviewers and readers with publishers to provide advance reviews and other buzz for upcoming titles. 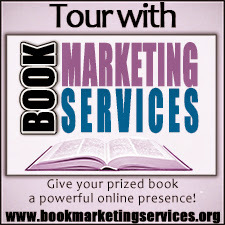 You fill out a profile with a link back to your blog or wherever you post book reviews and then put in your requests for the titles being offered by the site. A representative from the publisher will review your request and profile and determine if they want to give you a copy. Once you're approved, you're free to download your book. It's pretty similar to the Early Reviewers program that I already participate in, except for two key points: 1) you're not limited to just one book a month, and 2) the books are delivered almost entirely as ebooks. You can get them in whichever formats the publisher has made available, but mostly that means Kindle and Adobe Digital Editions format. For those not in the know, Adobe Digital Editions is another type of e-reader software that, among other things, has a feature that allows ebooks to expire after a given amount of time. I guess publishers like it because they don't have to give away complete copies of their books, and of course you can go back and download the thing again if you didn't finish it in the allotted time, so it's not that big of an inconvenience. Not all of the titles given away on NetGalley expire in such a way, but 2 out of the 3 I've downloaded so far have turned out that way, so that could be a fair representation of the general demographics. Anyway, those of you who know me know that I'm very much a pen and ink type of guy. I like to have the physical book in my hands, to feel the words under my fingertips, drink in the literary deliciocity through my very pores. I never anticipated going the e-reader route, but damn it, I've been sucked in. It was NetGalley that did it. They gave me access to titles like Tinker Tailor Soldier Spy by John le Carré and Harbor Nocturne by Joseph Wambaugh, two authors I freakin' love and titles I never expected to be asked to review. I've been reading some of these other ebooks using my laptop installation of Adobe Digital Edtions, and I just can't read as fast or as easily as I'm accustomed to. I long to be able to hold it in one hand, to lay down and read it, to--God forbid--take it with me to the bathroom. And therefore I'm left pining for something I never thought I'd want: a Kindle. Yeah, a Kindle. Don't ask me why I didn't choose a Nook. I really don't know. I didn't research the two devices, the pros and cons between them, prices or customer reviews. Call it brand loyalty, I dunno. But that's what I've decided to go with, and now the means of my undoing is winging its way to my doorstep. Probably the best news in this scenario is that we were able to use points from our credit card in order to finance the whole operation. Therefore, not only did I get my luxury purchase, but I didn't have to spend a dime to do it. Well, not exactly. There were quite a few dimes spend considering the cash that had to be forked over in order to build up enough points. But we're not counting that, are we? That'd be way too depressing. Congrats on your Kindle purchase. I love eBooks and I love that some eBooks are available to review before the paperback comes out. It's like getting sneak previews! Thank you so much for commenting! Yes, a wealth of new reading opportunities have opened up before me. I can't wait for it to arrive! I've got a three week business trip coming up, and I just hope it gets here before I have to leave. NetGalley is indeed addictive. Enjoy your new toy. Only a few years ago I could not imagine myself joining the e-reader brigade - today I have two, a Kindle and an e-reader for epub file format. Yeah, I never thought I'd go the e-reader route, but now I'm hooked. Thanks for stopping by! Enjoy your Kindle! Like you, I never thought I would buy an e-reader. I love technology and new toys, but I've always preferred printed books. Now that I have one (not a Kindle or a Nook, but an e-reader), I see many advantages. I hope you don't mind me asking a question about NetGalley: How do you know if you're going to get an e-book? I'm asking because I thought NetGalley offered e-books mostly, but most of the books I've looked at only offer information about hardcover/paperback or don't offer any kind of information. You sign up first and fill out your profile along with a link to your blog and all that. Then you look at the titles and apply to receive a copy of the book. A representative from the publisher reviews your profile and says yea or nay. If yea, you get the opportunity to download the book, either as a galley (which can be read using Adobe Digital Editions) or kindle format. Then it's up to you to go back after you've read it and written a review, you input the review along with information about where it is already posted or is going to be posted and send it to the publisher. If your review is satisfactory publishers might link to it or quote from it or something like that, though I've never had that happen... mostly because the only 2 I've reviewed through NetGalley I didn't like overly much. That's what I did and I got an epub file. I think what confused me is that when I clicked "More info", the only information in many books was about printed editions or there was no information about editions. But that may just be how the book is published to be sold and not the galleys. I hope you get better books. I've only applied for one, but I'm enjoying it. You have a great blog there! Also, take out some time and check out the timeless classic, The Special Guest written by Lee Allen. The Special Guest is a true heartwarming and inspiring Christmas story about a family’s tragedy and how they come to learn of a plan greater than themselves. The timeless truths of this holiday book will make for a reading delight for both young and old – touching all with the sentiments that make Christmas so special.